A Lewisburg man is free on bond after his arrest for groping a woman in the Physician’s Plaza parking lot at 100 Covey Drive, Friday night. Officers responded at 9:19 p.m., after the victim reported being sexually assaulted, by a stranger, in the lot. The victim was waiting for her ride when the suspect approached and began making casual conversation with her, before suddenly showing her a pornographic picture on his phone. When the victim told the suspect to leave her alone, he reached down her shirt and assaulted her. The suspect fled when the victim screamed, running towards the nearby Williamson Medical Center. Franklin Police and hospital security quickly worked together to confirm that the suspect entered the hospital following the assault. Using sophisticated surveillance equipment, hospital security was able to track the man’s movements to a room where he was visiting a patient. 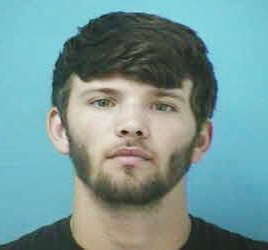 The suspect, 19-year-old Joseph Williams, was arrested and charged with Sexual Battery. Williams is free on the $8,500 bond set by the Magistrate. He is due in court 07/28/2016 at 1pm. Anyone with information regarding this case, or any other incident involving Williams, is asked to call Franklin Police.